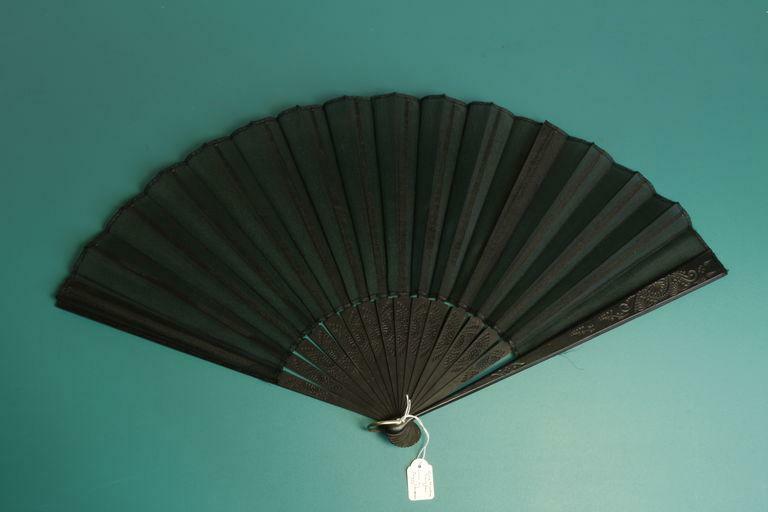 Fan belonging to Julia Neilson (1868-1957) and used by her as Lady Blakeney in The Scarlet Pimpernel, New Theatre, 1905, or as Sarah, Countess of Marlborough in The Marlboroughs, on tour, 1924, and Wimbledon Theatre, 1925. 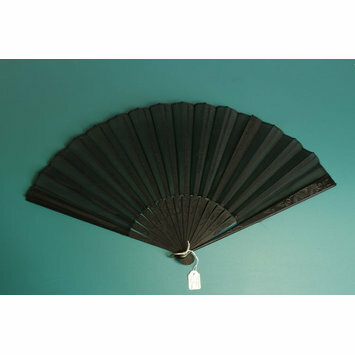 Fan with carved wooden sticks, painted black, and black organdie leaf. With metal hanging loop. 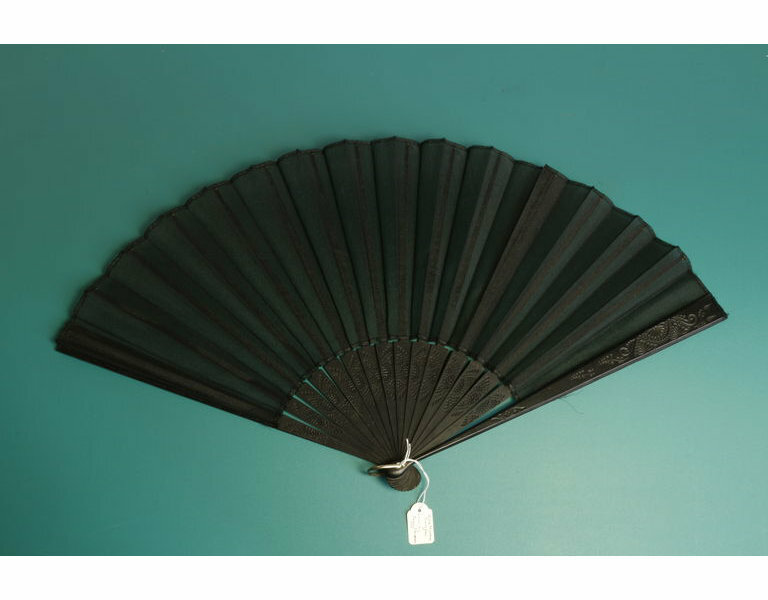 The fan was given to Sidney Young by Julia Neilson, as a present for his mother. On her death it was given by Mr Young to the donor, whose father was a first cousin of Julia Neilson.